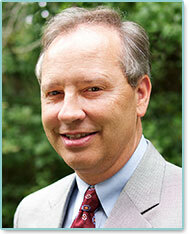 Stephen Martin, MD is the leading provider of the QuickLift® Face Lift procedure in the Mobile, Alabama area. Dr. Stephen Martin has been in practice for more than 20 years and is board-certified by the American Board of Otolaryngology and the American Board of Facial Plastic and Reconstructive Surgery and is a member of the National Board of Medical Examiners. Upon graduating from East Tennessee State University College of Medicine in 1985, Dr. Martin began his surgical training at Emory University in Atlanta, Georgia which included a one year internship in general surgery. His general surgery internship was followed by four additional years of specialty training in head and neck surgery including cosmetic facial surgery, facial trauma, cancer and functional surgery of the face and neck areas. Developing a keen interest in facial plastic surgery, Dr. Martin concluded his formal training with a fellowship through the American Academy of Facial Plastic and Reconstructive Surgery. Voted Best Cosmetic Surgery Center by Mobile Press Reader's Choice for six consecutive years.